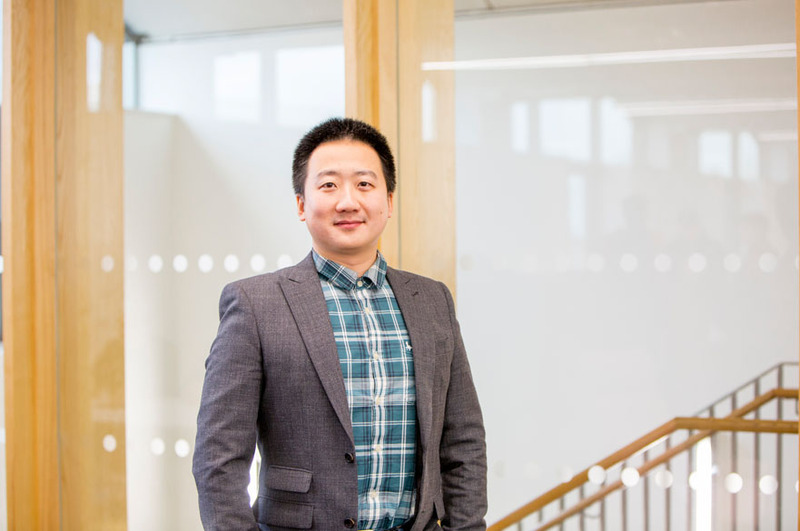 Dr Wei is a Senior Lecturer in Department of Engineering at Nottingham Trent University and has 10 years’ experience in e-textiles, printing technologies, healthcare technologies, sensors and actuators. Prior to joining NTU, Dr Wei was the Senior Research Fellow in the Department of Electronics and Computer Science at University of Southampton. Dr Wei received a First Class BSc (Hons) degree in Electronics Engineering from University of Central Lancashire in 2008, a MSc in Microsystem technology (MEMS) in 2009 and the PhD in 2013 from the University of Southampton. Since 2013, he has been involved in delivering key e-textile demonstrators for two EU projects (MICROFLEX and CREATIF), one EPSRC project (FETT) and one Innovate UK project. In parallel to the research, he has been actively involved in the enterprise activities. He has been working with various companies on the smart textile projects. More recently, he has been awarded 30k as an entrepreneur lead from Innovation to Commercialisation of University Research (ICURe) programme jointly founded by SetSquared and Innovate UK to valid the potential market of invisible RFID yarns. Dr Wei`s research focuses on additive manufacturing, healthcare technologies, sensing technologies and e-textiles. Since 2009, he have been working on the formulation of functional inks including those offering conductive, dielectric, electroluminescent, electrochromic, thermochromic, piezoelectric and piezoresistive. All these inks are capable of printing on any rough substrates, such as textiles. 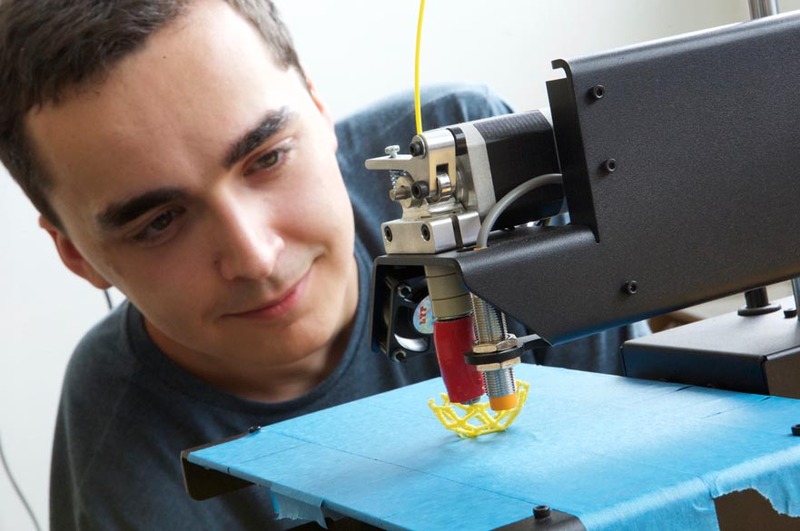 He has been working on sensing technology where he create sensors using the bespoke materials and pneumatic 3D printers where the desired sensor patterns are printed directly from digital designs on the computer. He has achieved the "world largest printed smart fabric (1m × 3m) which is displayed at the Zaha Hadid gallery in London. So far, he has achieved smart fabric sensors for measuring pressure, motion, acceleration, touch, proximity, fluid level, noise level and CO2 gas. 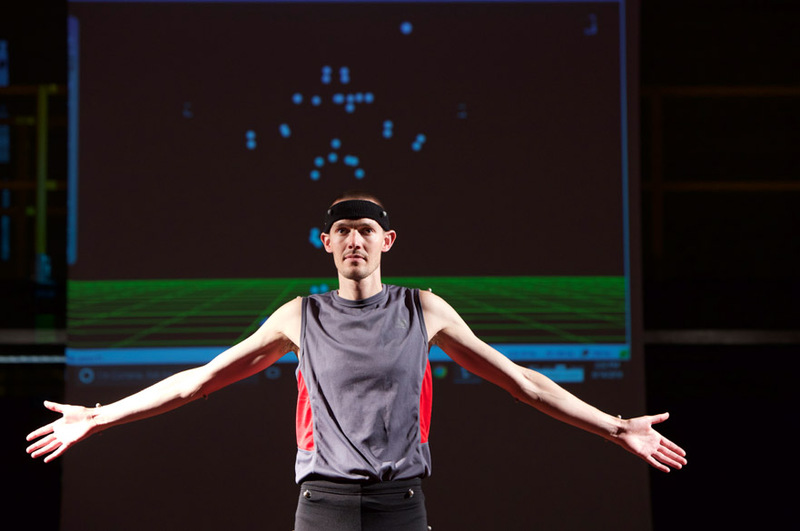 In addition, he has been working on the healthcare technology field where wearable devices are used to measure Electrocardiogram (ECG), Electroencephalogram (EEG) and Electromyography (EMG) signals as well as the respiration rate of the wearer. Apart from the sensing technology, he has also been working on functional stimulation using printed wearable electrodes. Examples include functional electro stimulation (FES) for stock patient rehabilitation, for deep vein thrombosis (DVT) prevention and for chronic pain relief. In addition, Dr Wei has been working on the design, fabrication and characterisation of RFID and NFC for textile applications on an EPSRC funded project FETT. From this project, he has achieved a long range RFID yarn which can be invisibly integrated with any objects, such as garments. Dr Wei currently accepts PhD students working on e-textiles for healthcare application. Please contact for further information. Dr Wei is a regular reviewer of Journals including Sensors and Actuators, Smart Materials and Structures, Sensors, Journal of Micromechanics and Microengineerin, Advanced Materials Research, Fibres. Dr Wei is the guest editor of special issue "Sensors for Biopotential, Physiological and Biomedical Monitoring". Dr Wei is also a reviewer of EU Horizon 2020 program. R. Torah, Y. Wei, Y. Li, K. Yang, S. Beeby, and J. Tudor. Printed Textile Electronic Devices, In: X. Tao ed. Handbook of Smart Textiles. Springer, 2015. Y Wei, N Gracheva and J Tudor, A study of Eulerian video magnification as a non-invasive method to reveal subtle pulse rate information, Sensors, 2019 (In Press). R. Torah, Y. Wei, N. Grabham, Y. Li, M. De Vos, T. Todorov, B. Popov, V. Marinov, S. Stoyanov, V. Todorov amd J. Tudor, Enabling Technology for Smart Fabric Design and Printing, Journal of Textiles and Fibrous Material, 2018 (In Press). K Yang, K Meadmore, C Freeman, N Grabham, AM Hughes, Y Wei, R Torah, M Glanc-Gostkiewicz, S Beeby and J Tudor, Development of user-friendly wearable electronic textiles for healthcare applications, Sensors, 18(8), 2018. Y Li, R Torah, Y Wei, N Garbham and J Tudor, Dispenser-printed sound-emitting fabrics for applications in the creative fashion and smart architecture industry, The Journal of Textile Institute, 2018. J. Matiko, Y. Wei, R. Torah, N. Grabham, G. Paul, S. Beeby and J. Tudor, Wearable EEG headband using printed electrodes and powered by energy harvesting for emotion monitoring in ambient assisted living, Smart Materials and Structures, 24, 2015. Y. Wei, R. Torah, K. Yang, S. Beeby, and J. Tudor. A novel fabrication process to realize a valveless micropump on a flexible substrate. Smart Materials and Structures, 23, (2), 2014, 025034. Y. Wei, R. Torah, K. Yang, S. Beeby, and J. Tudor. Screen printing of a capacitive cantilever-based motion sensor on fabric using a novel sacrificial layer process for smart fabric applications. Measurement Science and Technology, 24 (7), 2013, 075104. Y. Wei, R. Torah, K. Yang, S. Beeby, and J. Tudor. A screen printable sacrificial fabrication process to realise a cantilever on fabric using a piezoelectric layer to detect motion for wearable applications. Sensors and Actuators A Physical, 203, 2013, p 241-248. Y Wei, K Yang, M Browne, L Bostan and P Worsley, Wearable Electrical Stimulation to Improve Lymphatic Function, IEEE Sensors Letters (In press). Mahmoud Wagih, Yang Wei, and Steve Beeby, Flexible Body Wireless Sensor Node with a Bespoke Detuning-Resilient Planar Antenna, IEEE Antennas and Wireless Propagation Letters, 18, p49-53, 2018. N. White, J Ash, Y. Wei and A. Akerman, A planar respiration sensor based on a capaciflector structure, IEEE Sensors Letter, 2017. Y.Wei, X Wang, R Torah and J Tudor, Dispenser printing of electrochromic display on textiles for creative applications, Electronics Letters, 53, 2017, p779-81. 2017. Z. Ahmed, Y. Wei, R. Torah and J. Tudor, Actively actuated all dispenser printed thermochromic smart fabric device, Electronics Letter, 52(19), 2016, pp 1601-03. Y. Li, R. Torah, K. Yang, Y. Wei and J. Tudor, Fully direct write dispenser printed sound emitting smart fabrics, Electronics Letters, 51(16), 2015, pp 1266-68. Happy to be involved in the media talking about research, teaching, and enterprise relative topics. Previous expertise projects include light emitting textiles for fashion applications.